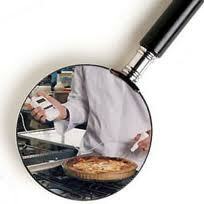 HACCP systems provide safe food for the public, free from contamination of all kinds. It is imperative that we prevent all food poisoning outbreaks. We must take care in all methods of, and at all stages of production and service, to carry out this service in a responsible and diligent manner. This obligation can only be carried out if properly implemented systems of work are in place and are frequently monitored. At various points in production and service, a critical hygiene point is reached. If there is no appreciation and there is no system in place to monitor the point, then serious problems can arise. Unsafe food may be produced and served. Singleton Associates can train your staff to recognise the critical control points, put together a HACCP plan and implement checks to ensure the system is working. UNDER THE NEW FOOD HYGIENE (ENGLAND) REGULATIONS MANAGEMENT NOW HAVE A DUTY TO IMPLEMENT HACCP AND GIVE TRAINING TO RELEVANT EMPLOYEES TO ADMINISTER THE HACCP SYSTEM. The need to adopt preventative strategies in the preparation of food to ensure its safety has increasingly become the focus of good practice and regulatory requirements. Current regulations require the owners of food businesses to conduct a hazard analysis of their food operations and to implement suitable and sufficient controls to eliminate or at least reduce the risks posed by identified hazards. Define and differentiate between control points and critical control points. Explain the terms: preventative measures corrective action monitoring. Understand the techniques involved in planning, analysing and documenting a hazard analysis study. Appreciate the need to take into account personal skills and knowledge and that of other personnel both internal and external. Understand the nature of suitable control measures and monitoring procedures. Explain the importance of review procedures. Appreciate the differing nature and relevance of other hazard analysis systems including HACCP (Hazard Analysis Critical Control Point) and ASC (Assured Safe Catering). B. APPLICATION OF HAZARD ANALYSIS PRINCIPLES. Produce a suitable flow chart describing the process. Construct a hazard analysis plan identifying additional information/guidance and determining the appropriate involvement of other personnel. Identify relevant food hazards, their location within the process and preventative measures available. Identify points where control is critical and determine suitable control measures. Determine the limits for, and nature of, corrective actions. Identify the need for review. Devise suitable and appropriate documentation. The expected outcome is that the student understands the legislative requirements for hazard analysis and is able to: State the general requirements for ‘hazard analysis’ contained within the The The Food Safety And Hygiene (England) Regulations 2013. Describe the nature of additional requirements for hazard analysis found in special food industries covered by ‘vertical regulations’. Understand the likely requirements of enforcement officers for hazard analysis to be in place and operating to a suitable extent. Click here to download HACCP syllabus.